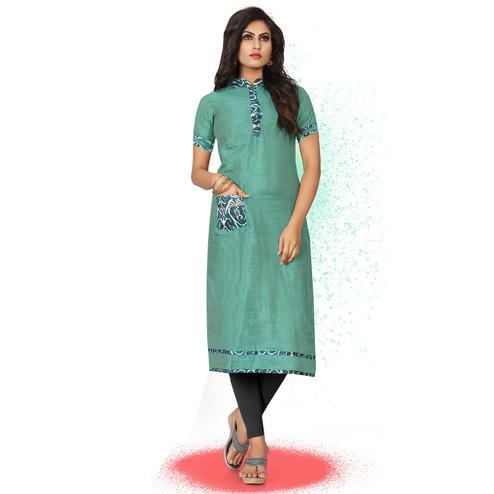 This beautiful blue - green cotton fabric kurti is sure to enhance your beauty. It has got collar neck, button placket, 3/4th size sleeves and floral pattern print work. 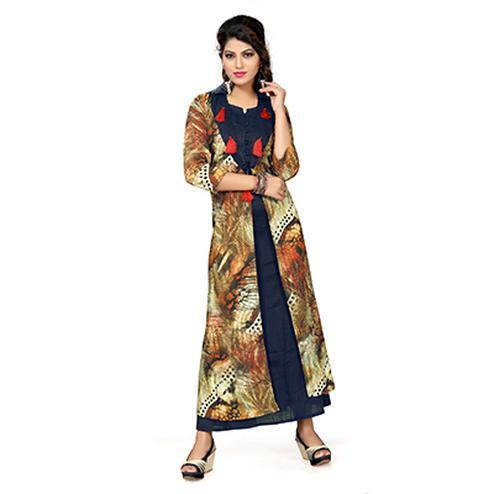 Team this kurti with perfect bottom for a complete ethnic look. Suitable for weekend get together, parties and events. 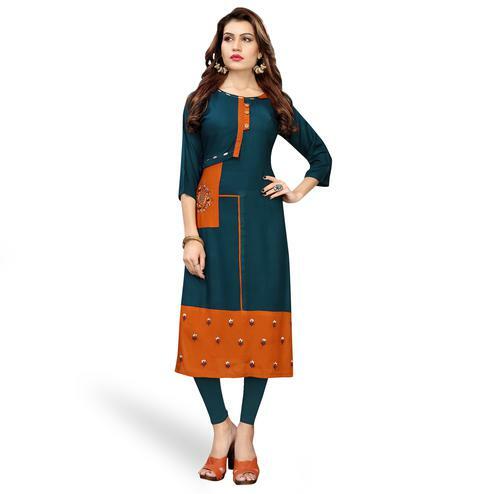 Buy this lovely kurti now.